La Pina Cycling Marathon is a challenging Gran Fondo Sportive that also starts in the beautiful town of Treviso and heads into the Dolomites. The shorter Medio Fondo takes you into the lower hills just north of Treviso where you will ride through the unique Prosecco vineyard landscape. 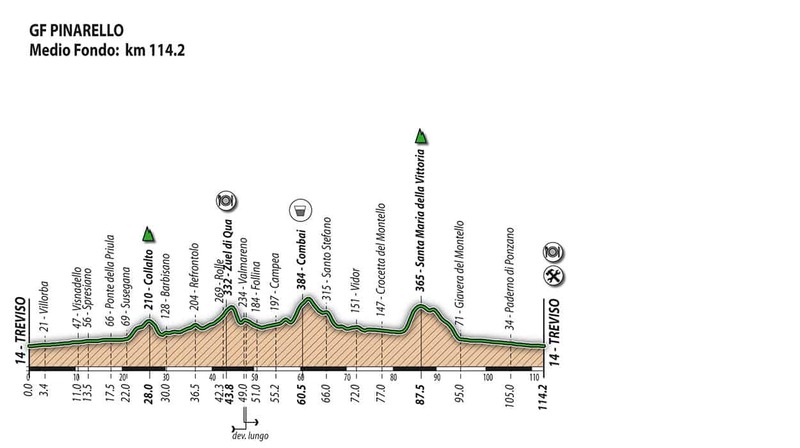 This route is 114km long and features a few Category 3 hills. It is a good challenge for the average rider. The longer Gran Fondo route takes you up and over the Treviso Alps and returns you via a shoulder of the Monte Grappa massif. 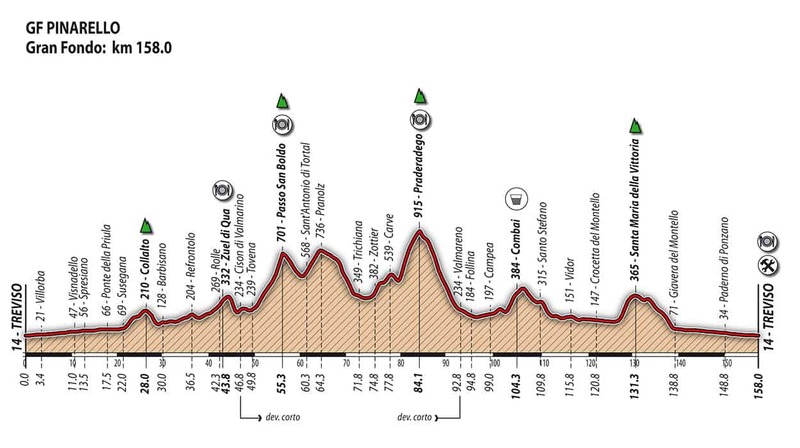 This route is 158km long and the mountain crossings are also Category 1 climbs. In addition, this route is a serious challenge for the experienced, well trained cyclist. Enquire today and participate in this Italian experience - The Pinarello Gran Fondo Tour! We require a 25% deposit in order to reserve your space. Spaces are limited on our Pinarello Gran Fondo Tour so get in touch ! We can also arrange transfer service from and to the main airports of Northern Italy, such as Milano (Linate - Malpensa) in addition to Milano Bergamo, Venice and Bologna. So let us know, and we’ll organize it. All you need to think about is having fun riding your bike! Visit our Travel Partners page for Bike & Travel Insurance. In addition, bike hire is available from our local suppliers. Full balance is required 10 weeks before the date of the Pinarello Gran Fondo Tour.